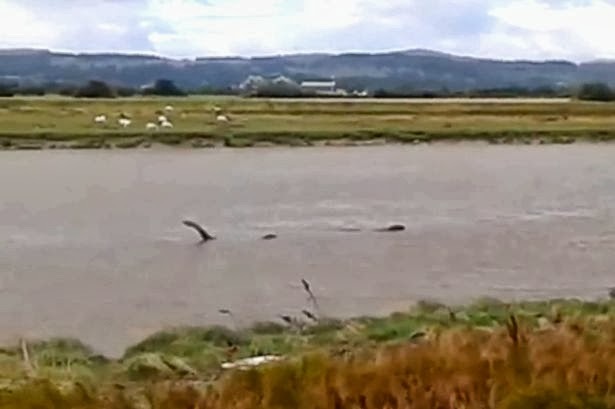 I have posted on logs being misidentified as Nessie before, but a recent video from a Welsh river was the best Nessie-like log I have seen in some time. 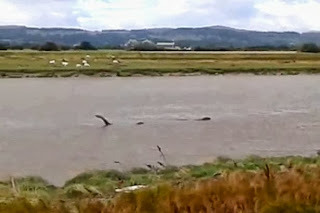 This log steadily "swam" past the observers as the river currents paraded it in front of them. If it had just been a snapshot, some may have found it curious, but after viewing the video clip, it is clearly a log. The video itself can currently be viewed here. The equation will be improved in several ways but it gets across the idea of what goes into a credible sighting. The experience of a witness concerns the observational skills of the witness. This can be influenced by several factors such as age, familiarity with water based objects and objectivity. There is also trustworthiness which is basically the hoaxer factor. Somebody such as Frank Searle would bring that number and hence the whole value close to zero. Clearly, the longer a witness spends observing the object, the greater chance that misidentification can be eliminated. In contrast, the further away the object, the more chance of misidentification. The obscuration factor denotes the viewing conditions. Was it misty, were there trees hindering the view and so on? But applying this formula to this Welsh "Nessie" would be pointless as we all know it is a branch. So, ultimately, a degree of human judgement is still required.